Gopherwood Studios Blog: Edison Project Win! 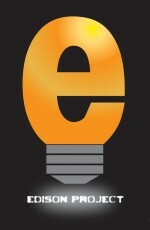 A few weeks ago I mentioned we were one of 9 contenders in a local business competition called the Edison Project. We achieved second place! It was a tough competition, but we lauded the virtues of HTML5 and threw in a bunch of games to give us an edge. Thanks to: Danny Hearn and the Catawba Chamber for putting this competition together; the sponsors: Alex Lee, CenturyLink, CVCC, Catawba County Government, and the Committee of 100 for making it a reality; and Bill Parrish of the SBTDC who worked with us and gave us invaluable feedback as we put together our business plan and presentations! Todd's response to seeing a check this large for the first time. We also want to congratulate the first place winner, David Washco, with Price Drive. He doesn't have his product out yet, but he has a very compelling idea that we hope to see come to life soon. The third place winner, Peter Lohr, with Advanced Hydrogen Technologies Corporation, also has a brilliant idea that could fundamentally change car fuel systems. Until the official news release gets out, hopefully this picture of Todd will suffice to show our excitement in the recognized feasibility of our business plan... ...and winning a check that's taller than my sons. Congrats. 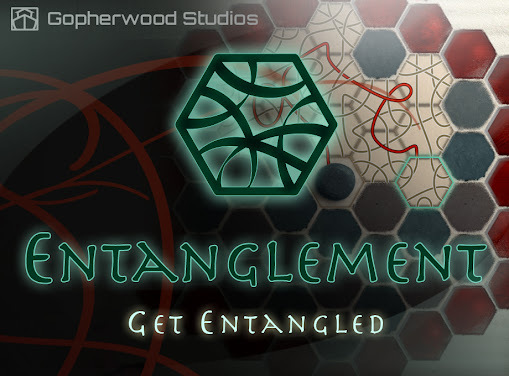 Entanglement is on of my favorite games. Especially Sakura Grove.